The Procter & Gamble Co. (P&G) has unveiled reusable, refillable packaging on some of its products to lessen single-use packaging and disposable waste. Additionally, later this year 11 of P&G’s brands, including Pantene, Tide, Cascade and Oral-B will partner with Loop, a circular e-commerce platform developed by TerraCycle to collect and recycle and provide circular solutions. This trial period will include New York City and Paris. Loop will offer the option to collect used products from consumers’ doorsteps for recycling or reuse after the consumer signs up online and receives a tote to collect finished products for pick up. The partnership with Loop advances P&G’s Ambition 2030 sustainability goals and the company’s ongoing commitment to turning sustainable intentions into positive everyday actions. 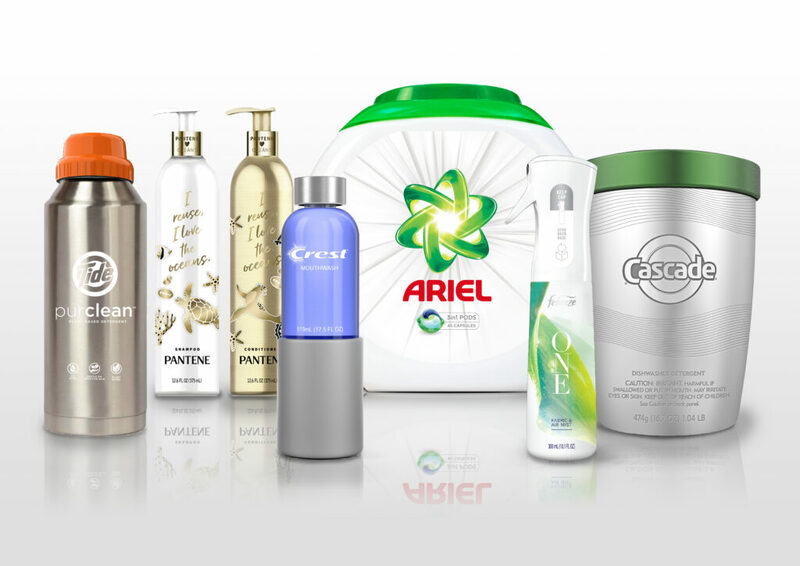 New durable and refillable packaging was launched under brands such as Pantene, Tide, Febreze, Cascade and Crest that is both luxurious and has new features. Ariel and Febreze offer durable, refillable packaging that is also available in stores, and is testing a new direct-to-consumer refill and reuse model. Febreze was already part of the TerraCycle recycling program that has recycled more than 1 million pieces of Febreze packaging. Pantene has a lightweight, durable aluminum bottle for its shampoo and conditioner. Tide’s new durable bottle is made from stainless steel with a simple twist-cap and easy-pour spout. Cascade’s ActionPacs enable consumers to skip the prewash setting of the dishwasher. Crest’s new Crest Platinum mouthwash will be provided in a refillable glass bottle. Oral-B is testing circular solutions for both its electric rechargeable and manual toothbrushes. The new Oral-B CLIC allows the exchange the brush head. The Loop platform will then recycle used brush heads for both Oral-B’s manual and electrical toothbrushes. Gillette and Venus will provide premium travel packs and razor handles for the consumer to keep. The blades from these grooming products will be collected by consumers for further recycling by TerraCycle. Fater, a joint venture between P&G and Angelini Group, will test the collection of used hygiene products such as Pampers and Always. The technology turns used absorbent hygiene products into secondary raw materials for higher-value applications, P&G said. “We are building on more than 180 years of innovation and world-class consumer insight to enable responsible consumption at scale,” said Virginie Helias, P&G’s VP and Chief Sustainability Officer. “We’re proud to partner with TerraCycle as the first CPG company to be part of this transformative program, which is just one of the many ways we are delivering on our Ambition 2030 goals to accelerate sustainable innovation and drive circular solutions. “The time to act is now. We are passionate about harnessing the power of our global reach and the strength of our trusted global brands to scale-up more sustainable solutions. Transformative partnerships are key to achieve this mission as no one can succeed alone,” she said.